"Vandē Mātaram" is the national song of India. The song was composed by Bankim Chandra Chatterjee in a highly Sanskritized form of the Bengali language. 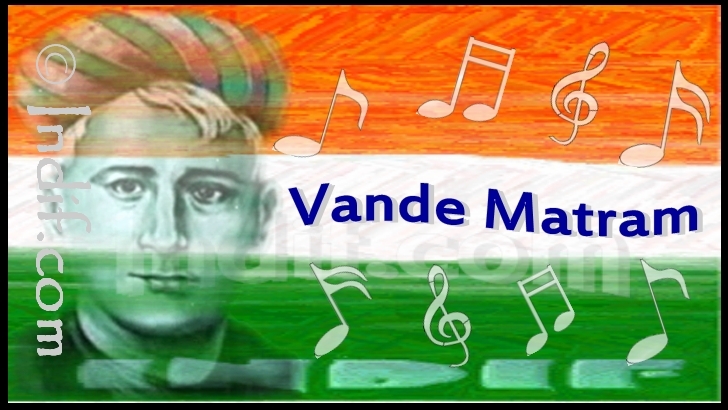 The song first appeared in his book ''Anandamatha'', published in 1882 amid fears of a ban by British Raj, though the song itself was actually written six years prior in 1876.Though a major aspirant for being thenational anthem of India, Vande Mataram was eventually overtaken by Jana Gana Mana, which was ultimately chosen.